I understand many people have run out of mobile internet data these days especially those that are not using Etisalat because Etisalat socialme unlimited browsing is still blazing. Well, my job is to make sure you have data (MB) even in time of expensive and data scarcity. I will keep on providing free and affordable solutions to your browsing needs. Having said that, one of the most cheapest way to browse right now is using Airtel BIS of N1000 for 3GB on your android phone. Those of us that have used glo Blackberry plans on android should be familiar with this. The only difference is that this one works better with BB10 imei numbers while the glo BIS works with any blackberry imei apart from those on BB10 operating system. I have received a lot of requests on this blog via the comments boxes to provide BB10 IMEI because i understand there are still people here that are new to generating a valid IMEI for tweaking so i have done that just for you. I have generated as many as possible valid ones that you can tweak now to enjoy the 3GB data on your phone. For those that are not familiar with this airtel trick, check this post on How To Use Airtel Blackberry Plan On Android And PC for detailed guide, benefits and settings. There you have it. Select from any of the above IMEI i generated for you and tweak on your android phone to enjoy the airtel 3gb BIS plan. If you have any question, kindly use the comments box below to ask it. Can more than one person use the same me imei? It the problem continues, kindly loose the modem and check whether the SIM pin connectors are still intact. If they are intact, use a sharp object like pen knife or sampaper and gently scratch the metal pin connectors, then apply methylated spirit on a soft cotton material to clean it. Assemble the modem again and it should work. After following the steps above and it still refuses to work, then you might think of getting a new one or take it to a modem technician. can two people use the same imei? Please how do I use Etisalat bus? Remember Etisalat BIS on android devices is not working on all Etisalat SIM. Hi Kendo, the above IMEI is for using airtel blackberry plan on android devices anf PC. Wats de code 4 subscribing?? Pls after the tweak and subscription hope no other settings? Good evening sir,I know to tweak imei,u need to root the Fone first, please I hv been unable to root my tecno l5,the truth is I don't get how to use the SP flashing tool and all,please do you have a video tutorial I can follow to root the Fone.thanks and please hlp add me to your WhatsApp group. 08063688170. 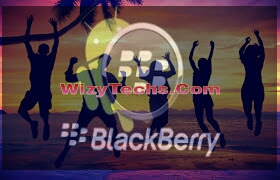 Pls, I hv tweaked my techno l8 plus with several bb10 imei,non seemed to be working. I don't know whether it's due to the fact that i still hv an active 2g bundle on. This airtel BIS via tweaking of the IMEI is what I'm currently using in all my mtk phones. I didn't remember to bookmark this page but i have just done that now.